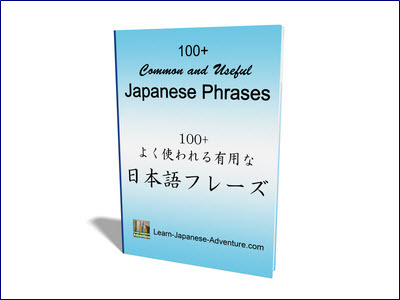 This section covers the list of Japanese country names. Some regions/areas (not a country) like Hong Kong and Macau are also included. With a few exceptions, most of the country names are written in katakana, since they are directly translated from their English names. 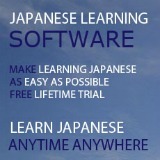 The few exceptions have kanji names and are therefore not written in katakana. For examples, China is called 中国 (ちゅうごく - chuu goku), South Korea is called 韓国 (かんこく - kan koku). 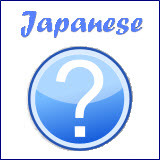 Some countries like America and Great Britain (United Kingdom) have more than one name in Japanese. America is often called アメリカ (a me ri ka), but is sometimes addressed as 米国 (べいこく - bei koku). Great Britain is frequently called イギリス (i gi ri su) but is also known as 英国 (えいこく - ei koku) at some occasions. 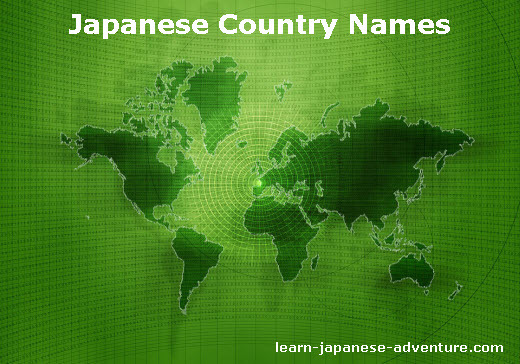 Let's check out the list of country names in Japanese. This list is arranged in English alphabetical order. All the above are the Japanese country names that I have gathered so far. If I missed out some Japanese country names, please let me know through the comment box below. The above 19 country names were additional countries mentioned by visitors of the site in the comment box below and visitors who emailed me.